I love Christmas! I love the lists and the carols. I love Santa and the Muppets doing Charles Dickens. I love it all. and heard Levar Burton read the Christmas story. 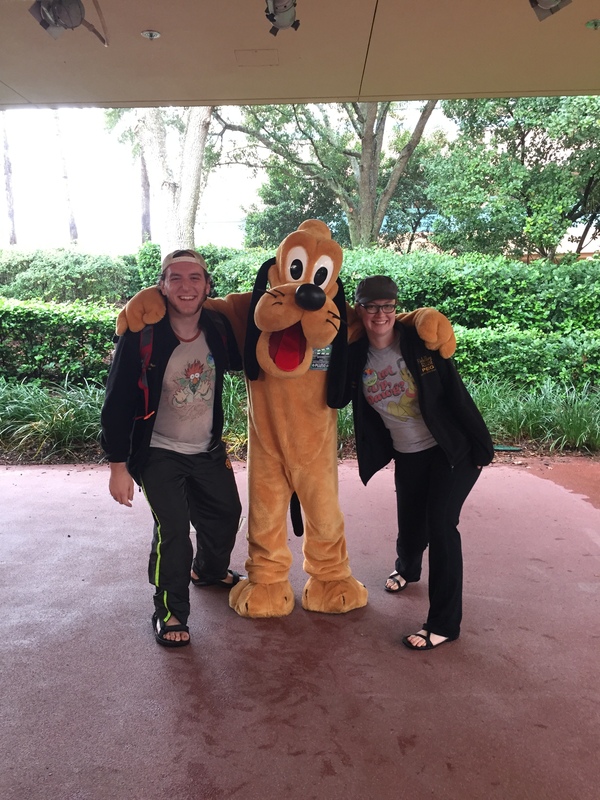 And we saw Pluto, of course! It was magic. And now in the spirit of having blown my dollars at Disney, which I in no way regret, we’ve been making ornaments for our cast house Christmas tree. Some are a little jenky. But some, like this beautiful Pluto ornament that my husband made for me, are wonderful. I mean, sure, a Christmas tree covered in ornaments made from brown paper bags may not seem that nice, but honestly, taking the time to decide which color glitter to use and what shapes to make has been fun, like making ginger bread houses when I was little. A project to remind you every time you work how lucky you are to be able to celebrate the holidays with the glitteriest tree around.